I think it has to do with Robert A. Heinlein. A dear friend introduced me to the genre of science fiction/fantasy. Isaac Asimov, Ray Bradbury, Arthur C. Clarke. Among many, many others. 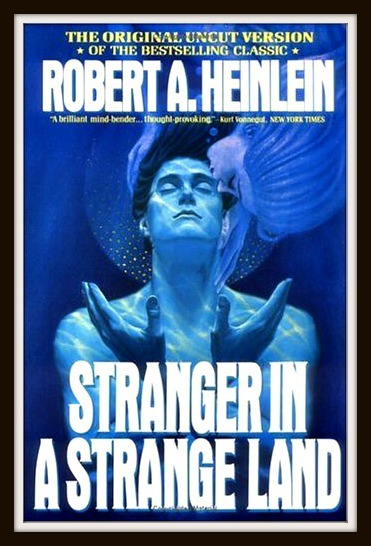 And yes, Heinlein as well. Their stories have stayed with me and shaped me. But with Heinlein, he had me before I even cracked open the cover. The very title of his book, Stranger in a Strange Land, struck a chord that has lingered. And every time we read Exodus 2:22, I am reminded of how profoundly we are affected when we feel as though we do not belong. I’m over at Zeh Lezeh (For One Another) today, talking about strangers and how just a slight shift in our perception can make all the difference in the world. Join the conversation over there.